Labor market momentum slowed sharply in May, casting doubts on the strength of the U.S. economy, according the Bureau of Labor Standards report released today. Nonfarm payrolls added a disappointing 38,000 jobs and labor force participation fell for the second month. 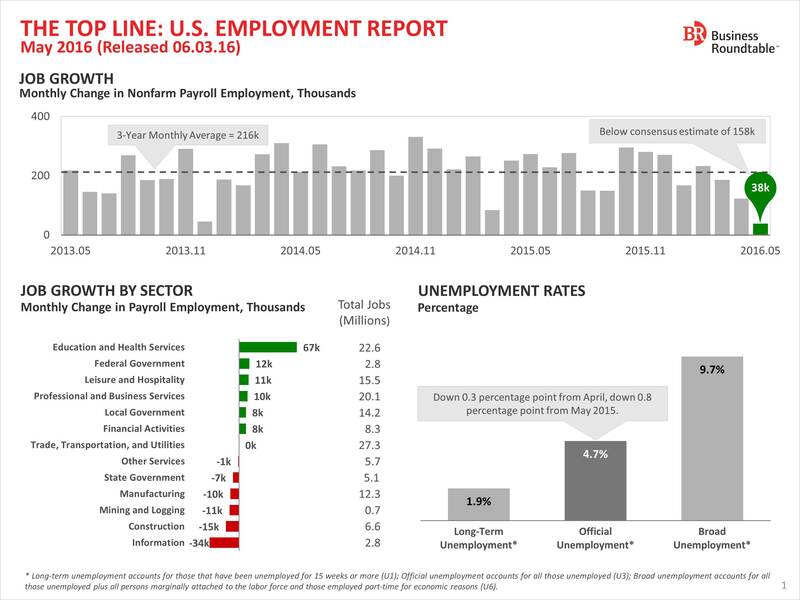 However, the unemployment rate dipped to 4.7 percent, while average annual wage growth held on to a solid 2.5 percent pace. Will May’s weak employment report cause the Fed to postpone interest rate increases this summer? More analysis is available at The Top Line below and posted online here.